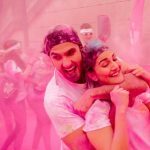 Bollywood’s one of the young superstars Ranveer Singh and Vaani Kapoor starrer Befikre has passed its opening weekend on a good note at box office. Backed by the big banner Yash Raj Films, it has promoted on a high scale and registered year’s 10th highest opening so far. The movie has been released with immense excitement of fans and received almost favorable response from audience across the country as well as overseas. Because of its bold content, Befikre is the choice of only youth audience and also it received mixed reviews from critics. Despite this, the movie recorded good occupancy through out the weekend and reported continuous growth over weekend in its business. Already existing Dear Zindagi & Kahaani 2 are heading almost unaffectedly, because of different genre and target audience. 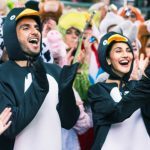 On the opening day, Aditya Chopra’s directorial Befikre witnessed the occupancy of more than 50% on 2100 screens in India and did the business of 10.36 crores. Then on Saturday, it remained steady and raked the business of 11.60 crores with slight growth. On the last day of weekend i.e. Sunday, the movie reported higher occupancy and added the amount of 12.47 crores to its account. With this, opening weekend total collection of Befikre has become 34.43 crores on domestic box office. Monday is a partial holiday, so the movie is expected to receive decent on its fourth day. From international market too, the movie has recorded quite good response of audience.